What is the Horizon Impact Award? Why is there an award? The contest is open to all legal entities, individuals or teams, that have completed a FP7 or Horizon 2020 project. 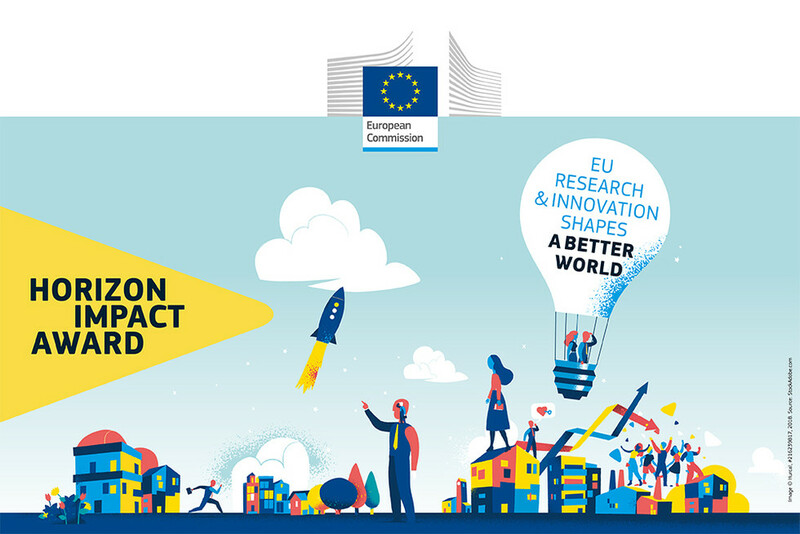 From results to societal benefits – proven link between funded project results to their uptake and creation of societal benefits. Applicants must demonstrate that they have directly exploited their research and innovation results or have played an active role in the uptake of the results by third parties. The direct and indirect exploitation of results can take many forms among which are influencing policy change, commercialising a service or product, creating a start-up/spin-off, creating a new standard and more. The results should also benefit or address a well-defined target audience. Applicants must demonstrate how the uptake of their research results has helped solve a societal challenge and generate economic, societal, environmental or policy impact. The applicants will be required to submit a letter of support from at least one user or user community, stating the importance of the research and how using it created concrete benefits for the specific user-community. This user should not be an academic organisation. The names of the external high-level expert jury members will be announced at a later stage.